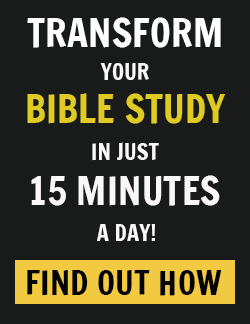 Have you ever noticed the severe discrepancy behind the very few verses in the Bible that discuss the “how-to” of parenting and the hundreds of Christian books that confidently proclaim “God’s plan for parenting” (or something similar)? If the “how-to” is so important, why can’t we point to more than just a few passages? If we believe in the sufficiency of Scripture, we have to wonder, Is the “how-to” the most important part of parenting when God is relatively silent about it? On the other hand, the Bible is decidedly not silent about the need for adults (and by extension, parents) to consistently grow in their faith. Jesus (Matthew 5:48), Paul (2 Corinthians 7:1), Peter (2 Peter 1:5-9), James (James 1:4), and John (1 John 3:2-3) — every major New Testament writer, in fact — urge us to earnestly pursue spiritual growth. I could list dozens of passages, but the above constitute just a small representative sample. God may be telling us, Grow in Me every day — in faith, patience, virtue, love, and worship, and let that faith and growth perfume your house and anoint your children. Dear friends, let us purify ourselves from everything that contaminates body and spirit, perfecting holiness out of reverence for God. Paul first tells us to focus on purifying ourselves, not our children. Many of us are so tempted to focus on purifying our children that we neglect our own spiritual growth. Dr. Kevin Leman once told me that parenting is like an airline emergency. Before take- off, every plane passenger is instructed that if the oxygen masks come down, parents should put on their own masks first before attending to their kids. Why? Because in an emergency, kids need their parents to be able to think clearly and act effectively. If we don’t take in oxygen, our thinking will grow fuzzy, and then our kids — dependent on us to get it right — will ultimately suffer. What’s true in the air physically is equally true on the ground spiritually. If we neglect our own “spiritual oxygen” — our walk with God — our motivations will become polluted. Our ability to discern, empathize, encourage, and confront will waste away. We must see parenting as a process through which God purifies us — the parents — even as He shapes our children. 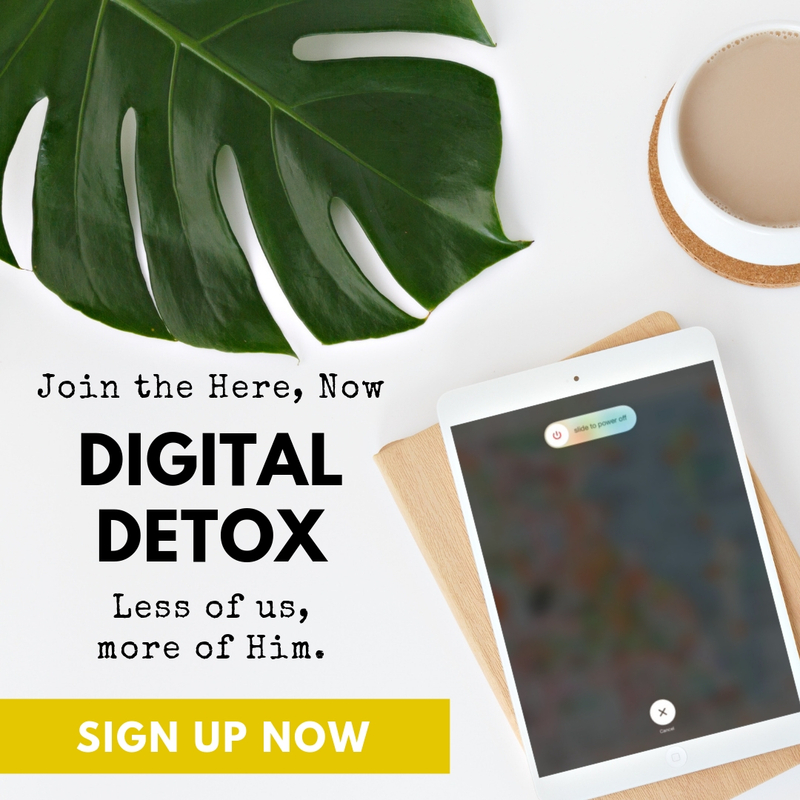 This extensive purifying involves “everything that contaminates body and spirit.” This takes us far beyond the obvious “physical” sins and into the more hidden contaminations of jealousy, fear, bitterness, pride, control, and possessiveness. Paul warns us that this purification process is both deep and thorough. Parenting will lead us to confront spiritual sins that we never even knew existed. It will point out inner weaknesses that we saw as strengths. It will reveal holes big enough to drive our SUVs through. 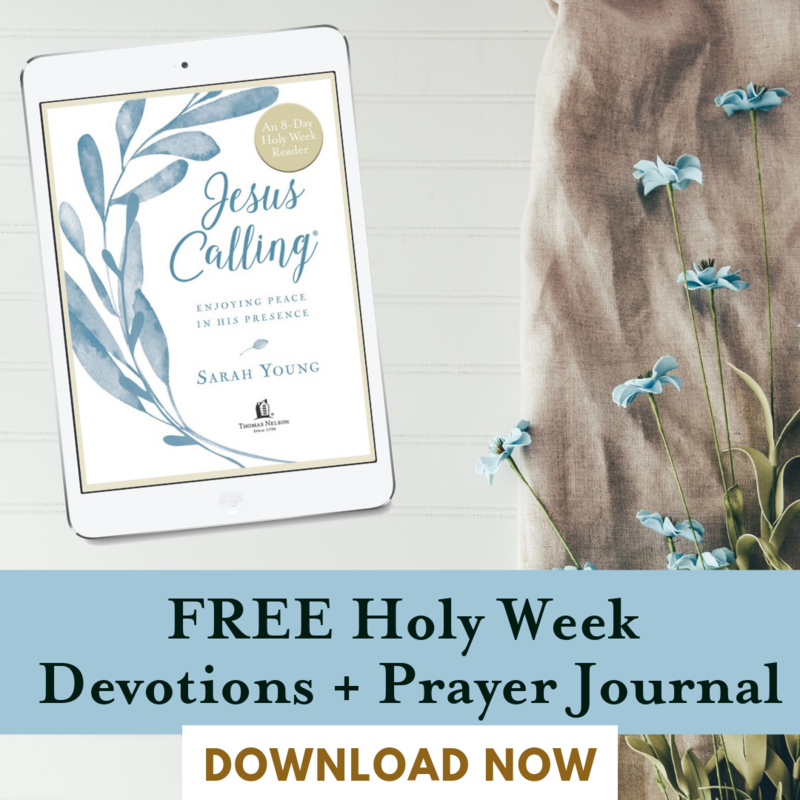 Paul defines this process as “perfecting holiness.” As fallen sinners, we won’t fully mirror the image of Christ until that day in which he appears. In the meantime, we are to rub off the smudges, perhaps sand out some of the cuts and abrasive edges, and let Christ’s spirit shine through as much as possible. This process of spiritual growth isn’t just pervasive (“from everything that contaminates”); it’s also ongoing (“perfecting,” present tense). And why do we put in such strenuous effort? What motivates us to approach parenting this way? 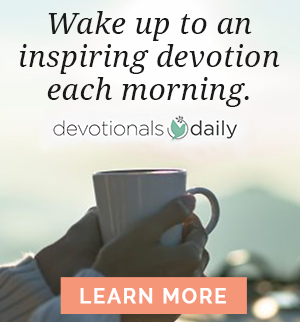 Paul couldn’t be clearer: we do it “out of reverence for God.” When we are motivated by reverence for God, we lose 99.9 percent of the excuses we make in family life. God remains forever worthy of reverence, so we never get excused from acting in a way that moves us along toward holiness. Consider an example from my own life. I returned from a weekend speaking trip late on a Sunday evening. Because I hadn’t seen my daughter for a couple of days, I got up after less than five hours of sleep to drive her to school. She could have caught a bus, but if I drove her to school, she could sleep in a little later and we could talk on the way. It was a Monday, and my daughter was in a Monday sort of mood. I couldn’t pry a sentence out of her any more than I could ski up Mount Everest. She got out of our silent car without so much as a “thank you.” Normally, Allison is quick to express her thanks — but this was just one of those adolescent days. If I were a child-centered father, I’d feel resentful and immediately start stewing: I get up after just a few hours of sleep, and this is how she treats me? Well, she won’t get that chance again! Next week, I’m sleeping in and playing golf! Child-centered parents act nicely toward their children only when their children act nicely toward them. A child-centered parent goes out of her way as long as her children appreciate her sacrifice. A child-centered parent bases his or her actions on the kids’ response. A God-centered parent acts out of reverence for God. Regardless of how my children treat me, I know that God wills that I move toward my children, to get engaged in their lives, to offer biblical correction and loving support. It doesn’t matter how they respond to me as much as it matters what God has called me to do. Though I adore my daughter, I don’t get out of bed on just a few hours of sleep solely out of love for her, but out of reverence for God. Do you see the difference? I hope you also see the importance. When God does not supply our motivation, we tend to major in the minors and minor in the majors. We may raise a more courteous and obedient child, but we won’t pass on what is of ultimate importance. If parenting were only about behavior modification, Jesus would have praised the Pharisees and kicked dirt on the adulterous woman. In other words, our own spiritual quest must drive our parenting. Unfinished or neglected spiritual business inevitably works its way out through our relationships in a negative fashion. We become more demanding, more controlling, more intolerant, more resentful. Our children cannot quench the God-given spiritual hunger in our souls. When we neglect God, we may ask our parenting to become stand-ins for God — something it was never designed to do. 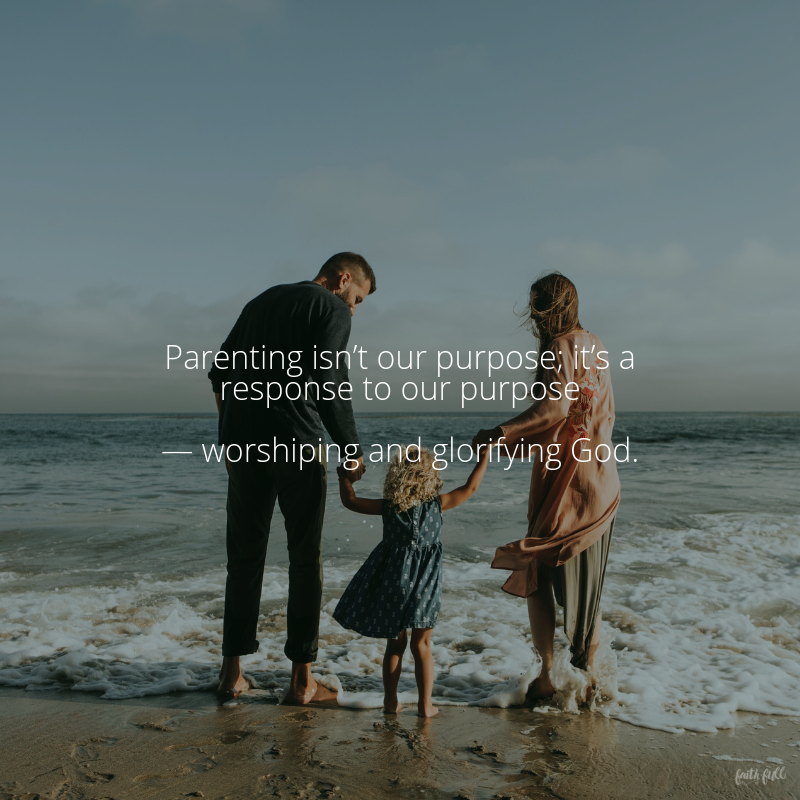 Parenting isn’t our purpose; it’s a response to our purpose — worshiping and glorifying God. In this book, I hope to seize this spiritual quest and sanctify it for the good of our families and God’s kingdom. Christian parenting is truly a sacred journey. It invites us parents to purify ourselves, to use the process of raising kids to perfect holiness, and to do this consistently, every day, out of reverence for God. If we enter it armed with this understanding, each season will gain new meaning and purpose — even the difficult ones. We live in the midst of holy teachers. Sometimes they spit up on themselves or on us. Sometimes they throw tantrums. Sometimes they cuddle us and kiss us and love us. In the good and the bad, they mold our hearts, shape our souls, and invite us to experience God in newer and deeper ways. Although we may shed many tears along this sacred journey of parenting, numerous blessings await us around every bend in the road. Excerpted with permission from Sacred Parenting by Gary Thomas, copyright Gary L. Thomas.